Did you know? 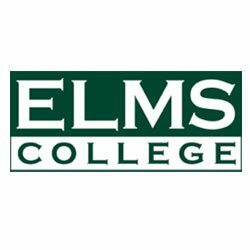 Elms College offers bachelor's degree completion programs right here at GCC! If you have your associate degree, you can continue on to a four-year program right here on campus. Programs offered include Business Management and Marketing, Early Childhood Education and Care, Social Work, and Nursing. Everyone is invited to stop by a scheduled information session, or contact Elms Program Coordinator Tom Spiro at spirot@elms.edu any time.